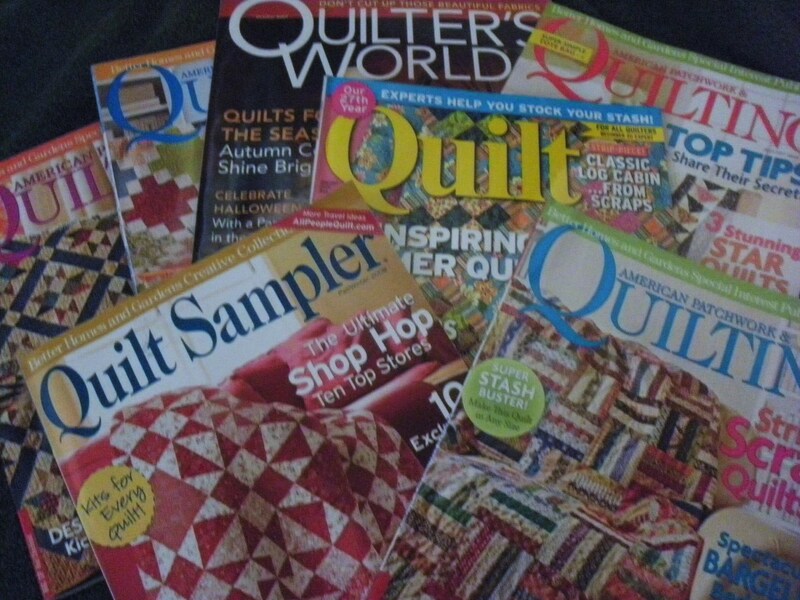 Claudia has been quilting for almost 30 years and writing about it for more than 6. She has won a number of awards for her work. Leaf quilts make a lovely addition to any bed or wall, and are always stunning. Depending on the season, a leaf quilt can set the tone for an entire room. 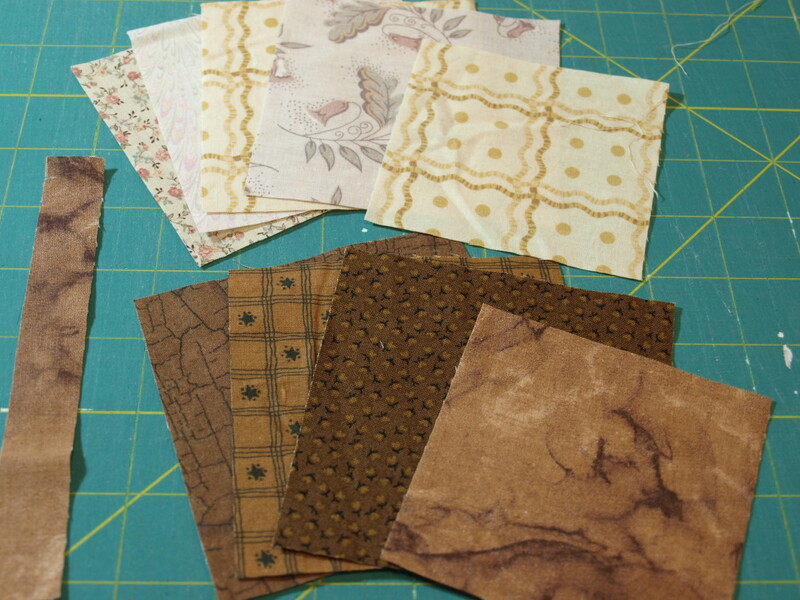 Leaf patterns in quilting range from simple to complex, and can be pieced or appliqued. 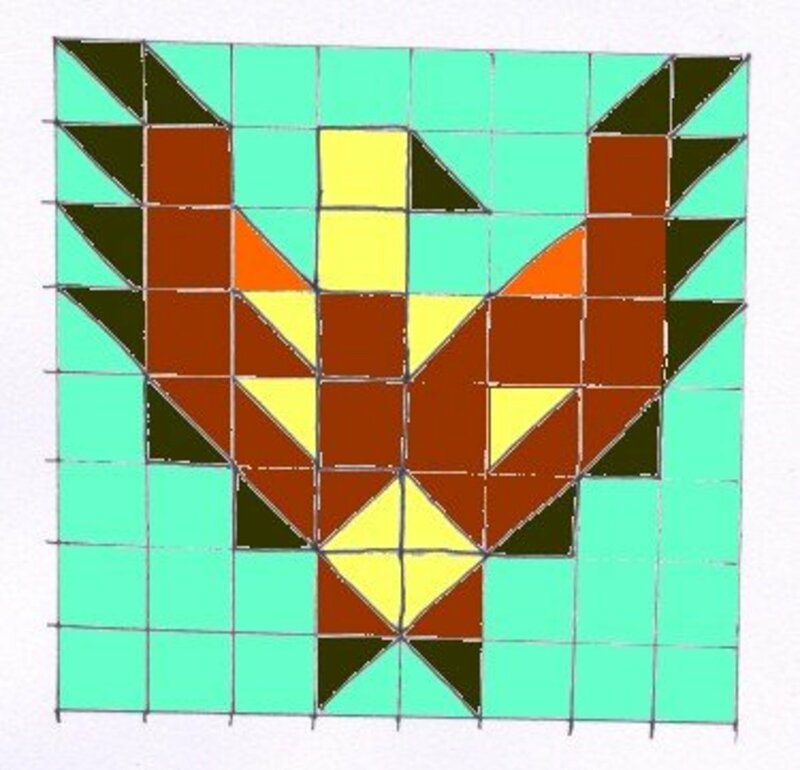 Leaf motifs have been used in quilting for hundreds of years and are often found in historical quilts. 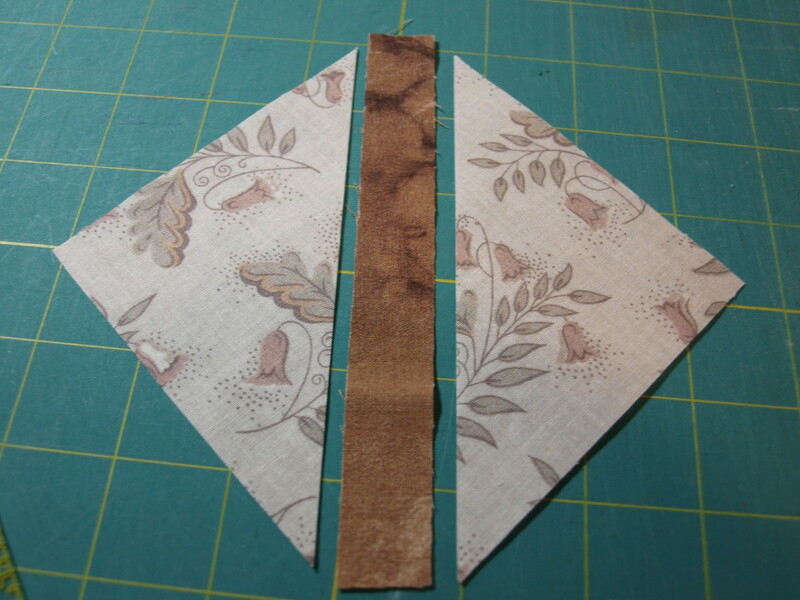 The directions provided below are for a simple and traditional pattern that makes one 10 1/2” leaf block. 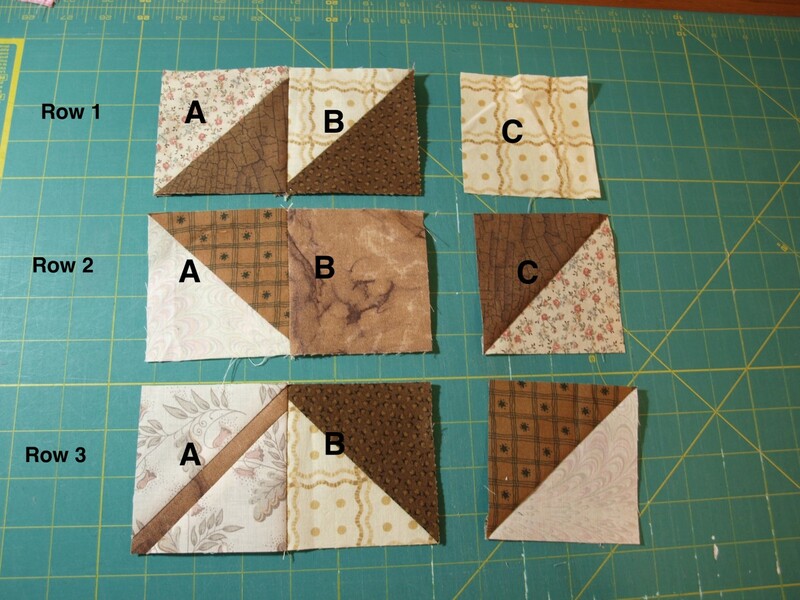 Important: Always use a 1/4" seam when piecing this quilt block together. 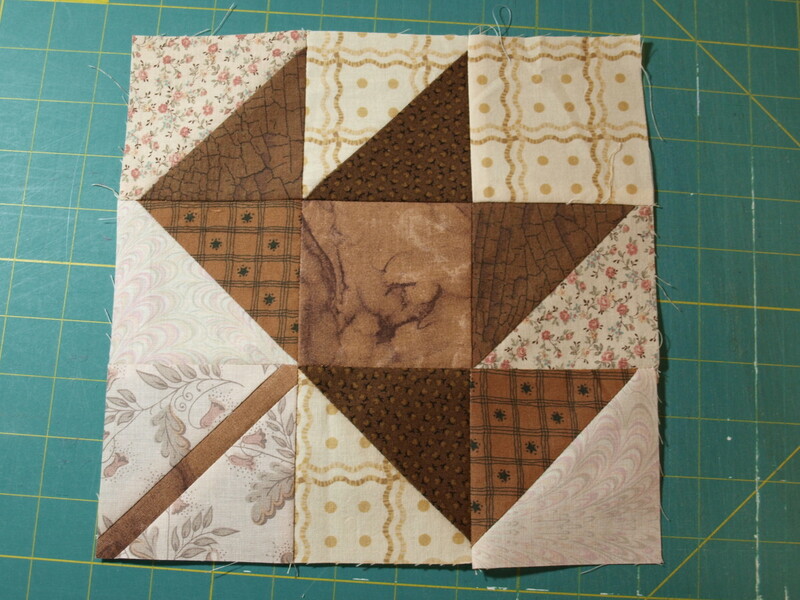 Hint: Use a different fabric for each square to add some charm and sparkle to the block. Place one dark 4” square and one 4” light square, right sides together. Draw a line from corner to corner, diagonally across the square. 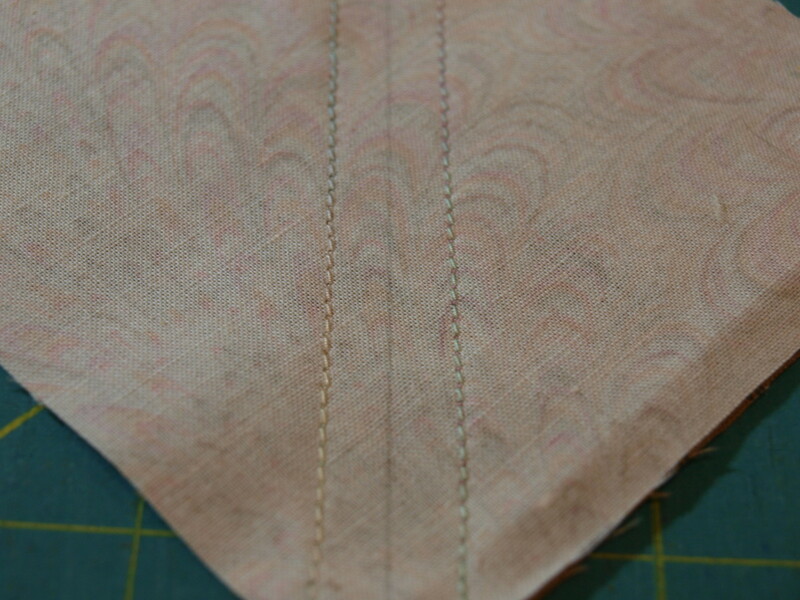 Sew a 1/4” seam down each side of the drawn line. Cut on the drawn line. Press the seam open, pressing to the dark fabric. 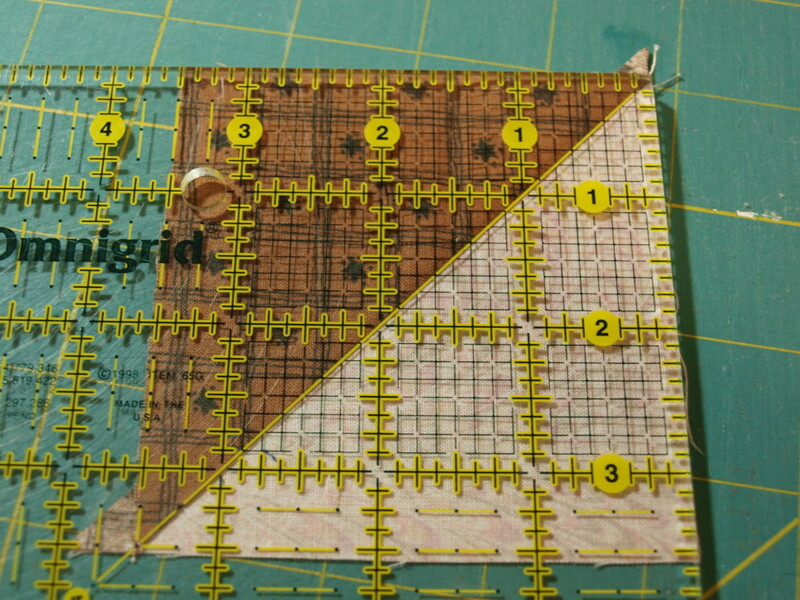 Square up each half square triangle to 3 1/2”, using a quilting ruler. 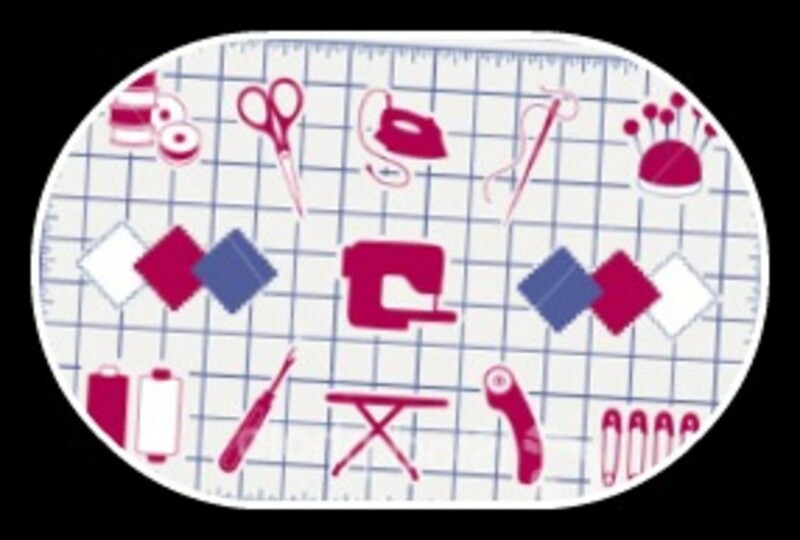 If sewn correctly, you will not need to trim up very much at all. 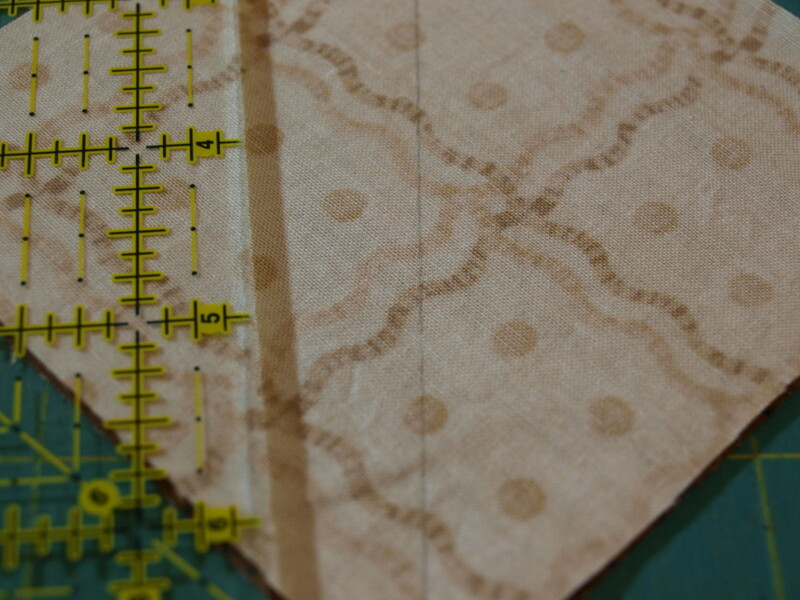 Cut the 5" square of light fabric in half, diagonally. Place the strip of dark fabric in the center. 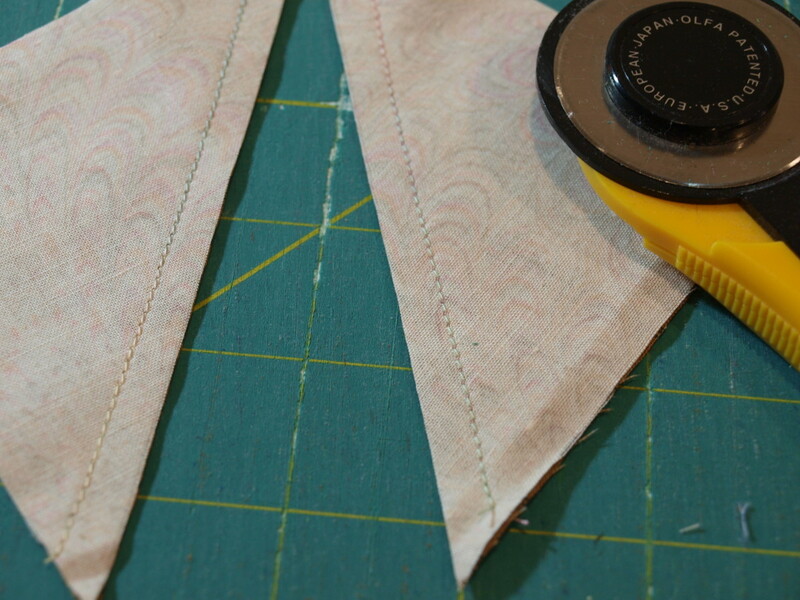 Using a 1/4" seam, sew the dark strip to the light triangle. Do the same thing with the other triangle. The strip is a little bit longer than the triangle. 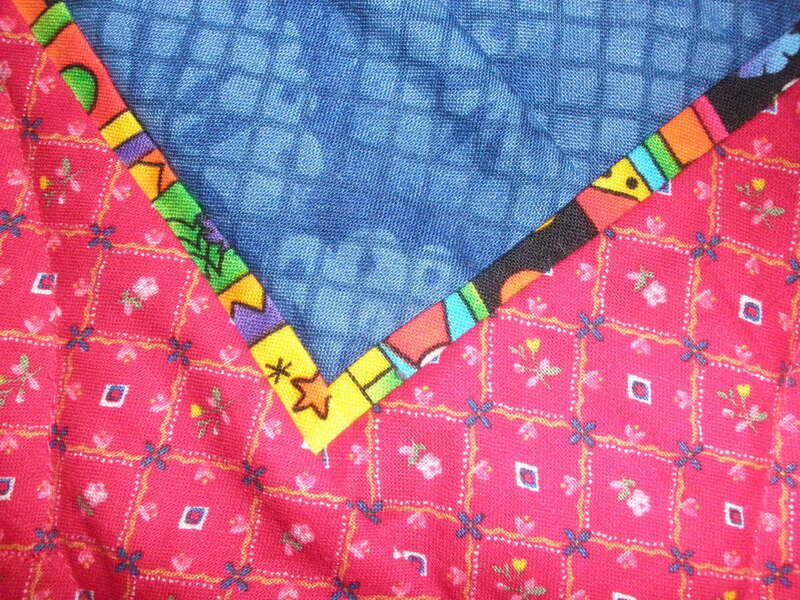 Just center the triangle in the strip for sewing. Press open. 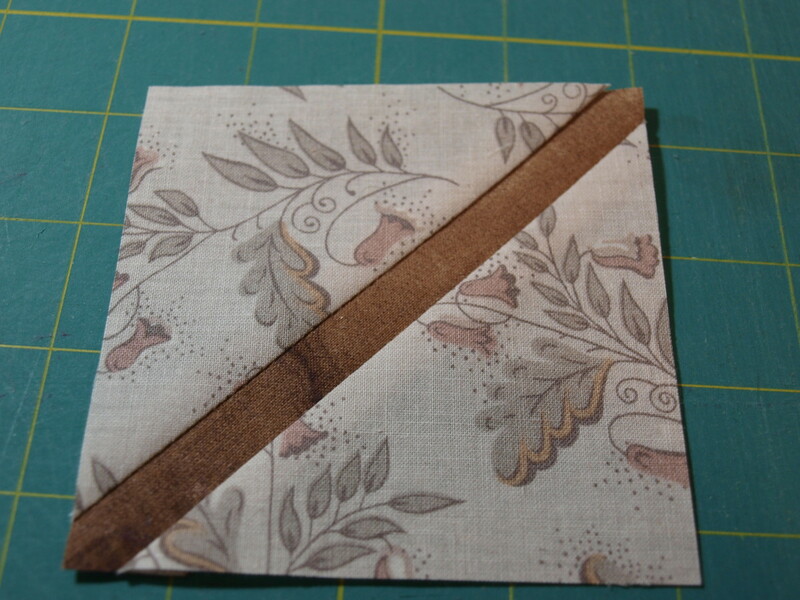 Trim the square back to 3 1/2". 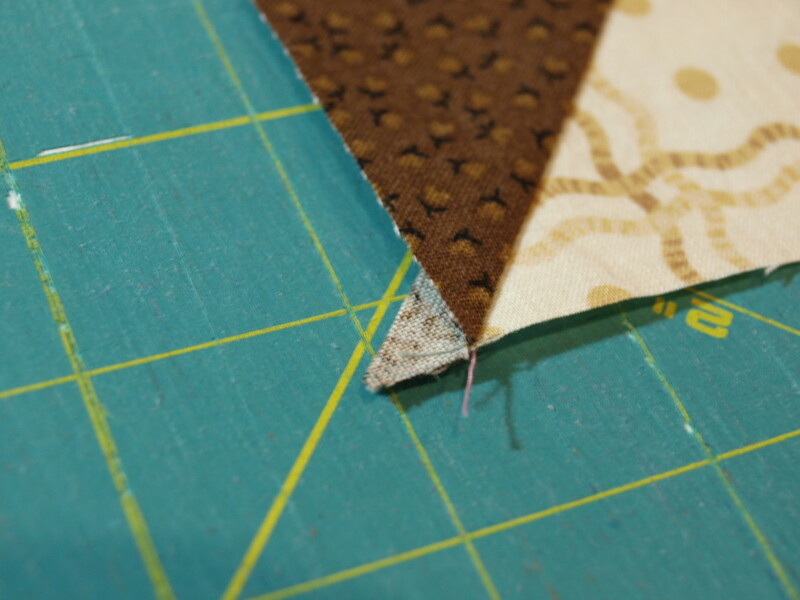 You will find that there is a significant amount of fabric to cut, but you want to have extra so that any cutting mistakes don't ruin the entire square. 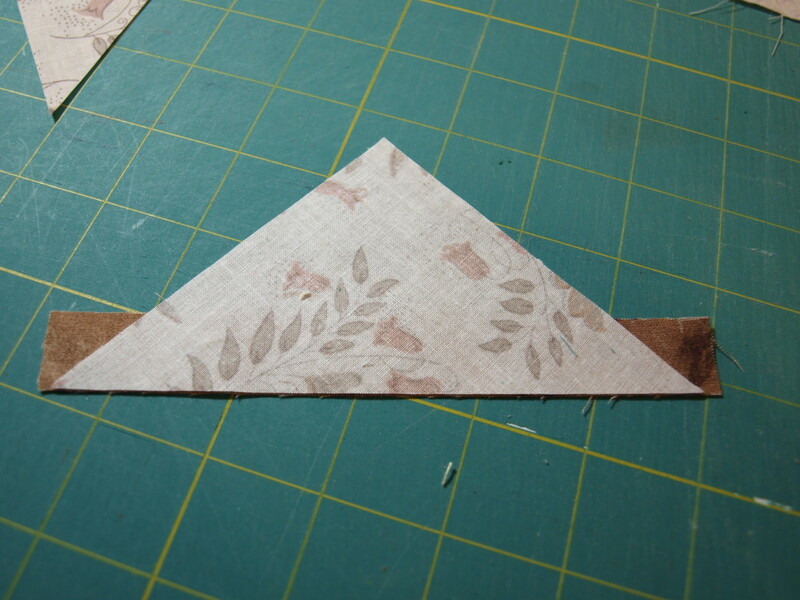 The stem square is finished and ready to sew into the leaf block. 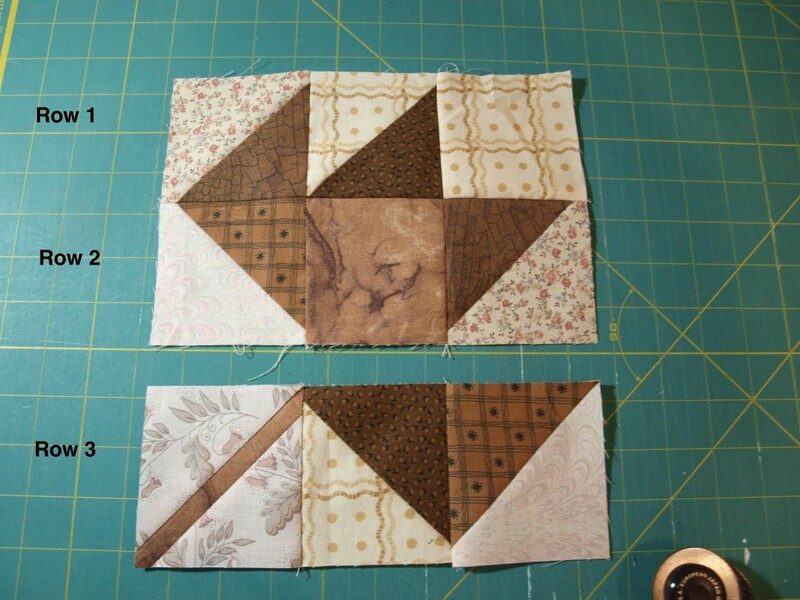 Lay the 3 1/2” squares out in the desired pattern. Keep the pieces in order so they don't get mixed up or get sewn together facing the wrong way. 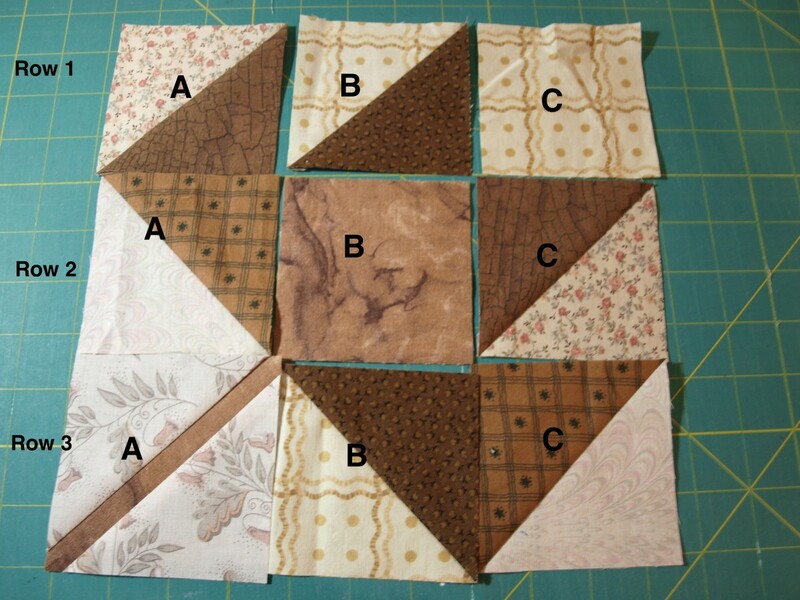 Sew square a to square b in all 3 rows. Press. 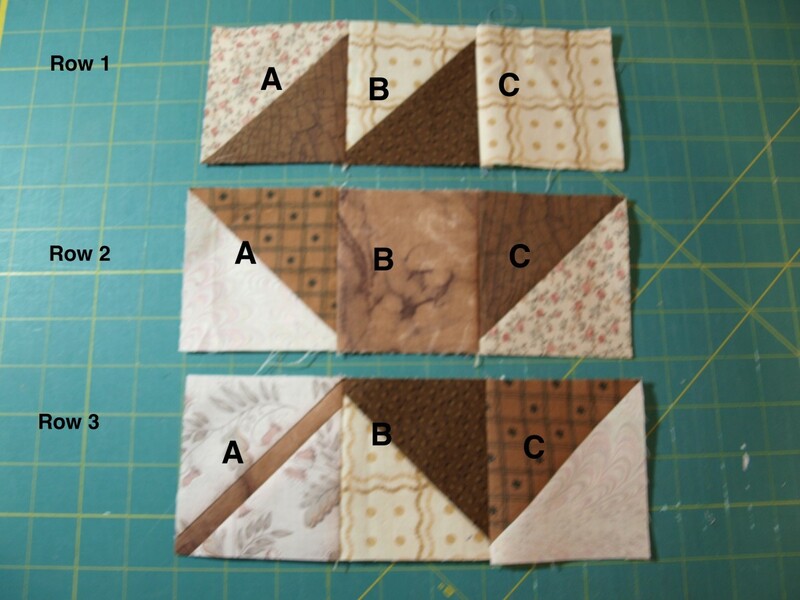 Sew square c to the sewn a and b squares in all 3 rows. Press. Sew row 1 to row 2. Press. 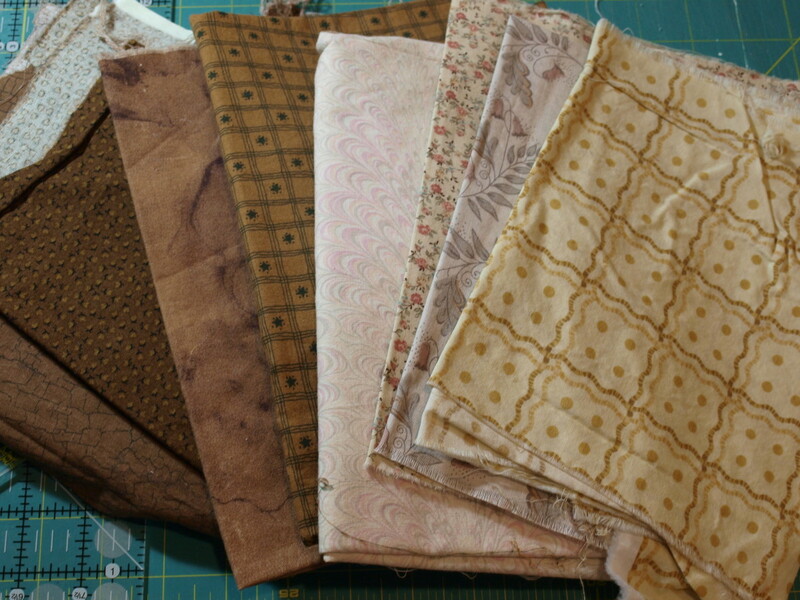 Sew row 3 to the sewn rows 1 and 2 and press. Your block is done. It should measure 10 1/2”. 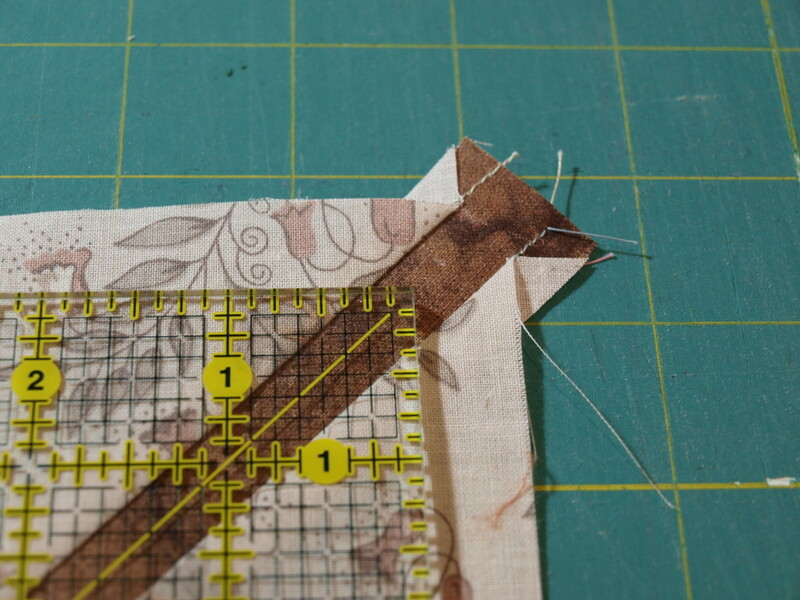 To do this, square it up with a quilter's ruler and trim any excess there may be. This block is a great stash buster. Use browns and beiges for a great fall quilt, or brighten up the pattern with vibrant green tones for a cool summer wall hanging. 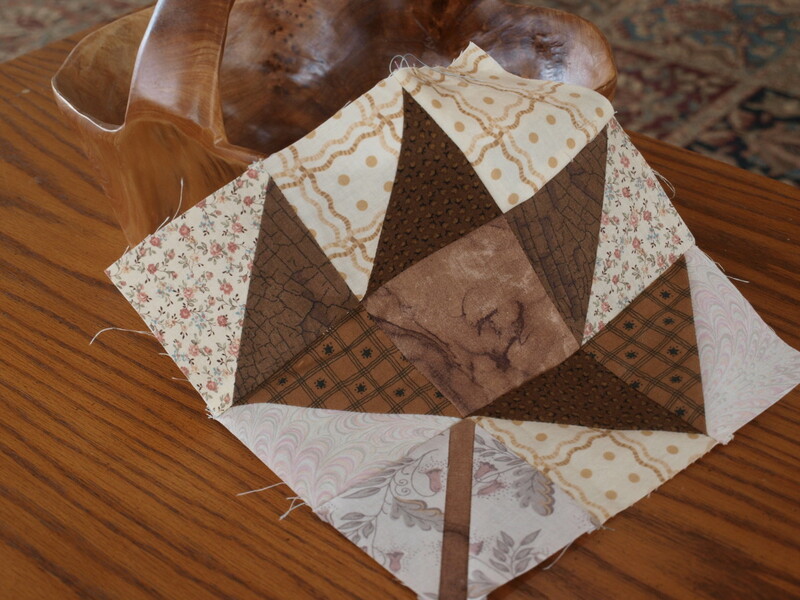 Whatever colors you use, this classic leaf pattern makes a beautiful quilt, modern or traditional. Thanks Michelle! I am glad you enjoyed the hub. These leaves are fun to make, especially in different colors. Another creative write. As Kelly said, you make it look so easy! Thanks for sharing! I appreciate the nice comments RealHousewife! Once you get the process, it really goes quickly. You make that look so easy! It would take me forever - ! Gorgeous work - I love it! I'll have to really brush up on my long lost skill. I'm so glad to hear that breakfastpop! You could make a political statement with an art quilt. That would be fun! Or how about one inspired by breakfast! Have a great day. Thanks for commenting. 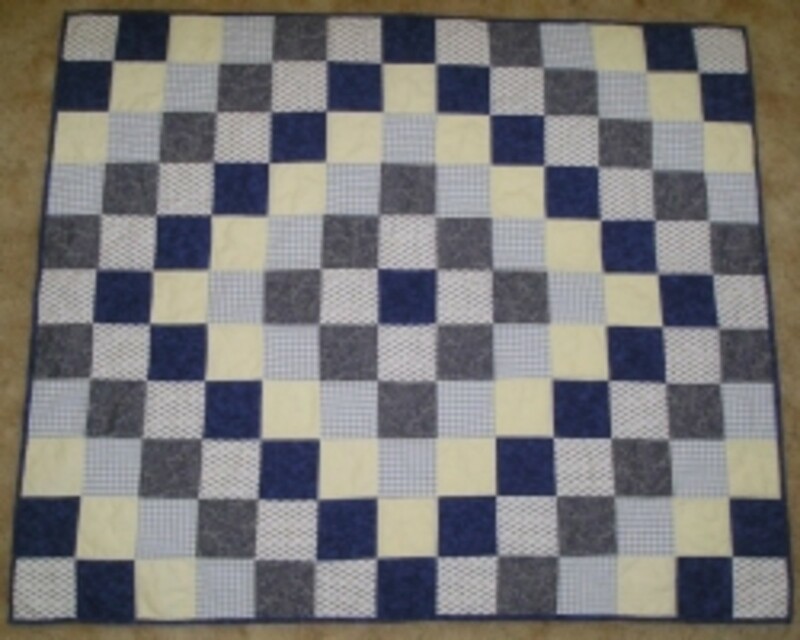 Years ago I took a quilting class and I have to say I loved it. You have sparked my interest once again. 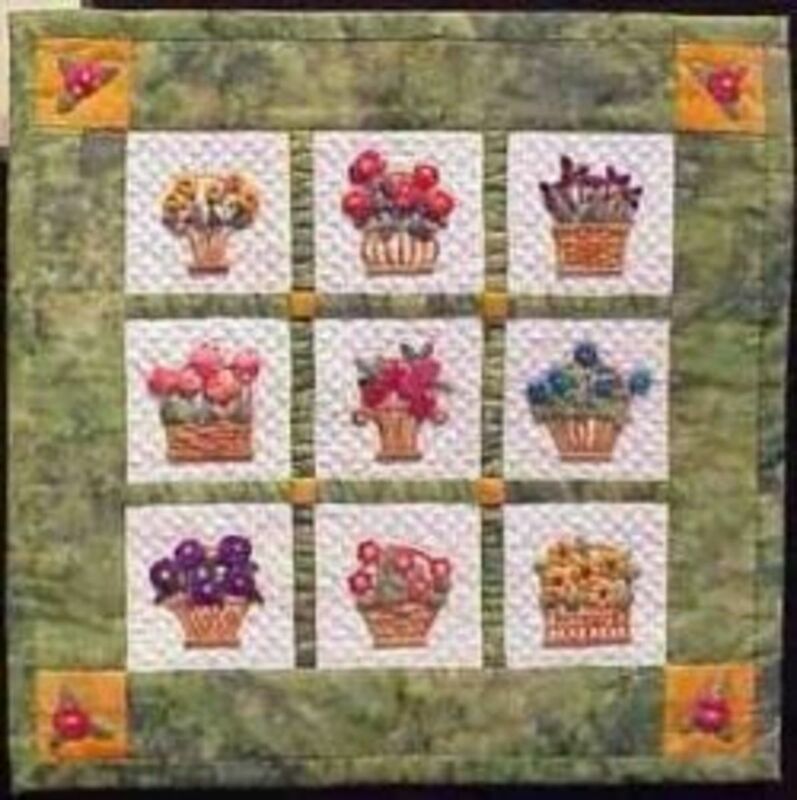 Hi peachpurple - I hope you get started on a quilt soon. They are fun to make. Thanks for commenting. Thanks Bill! This is an easy block that packs a punch. 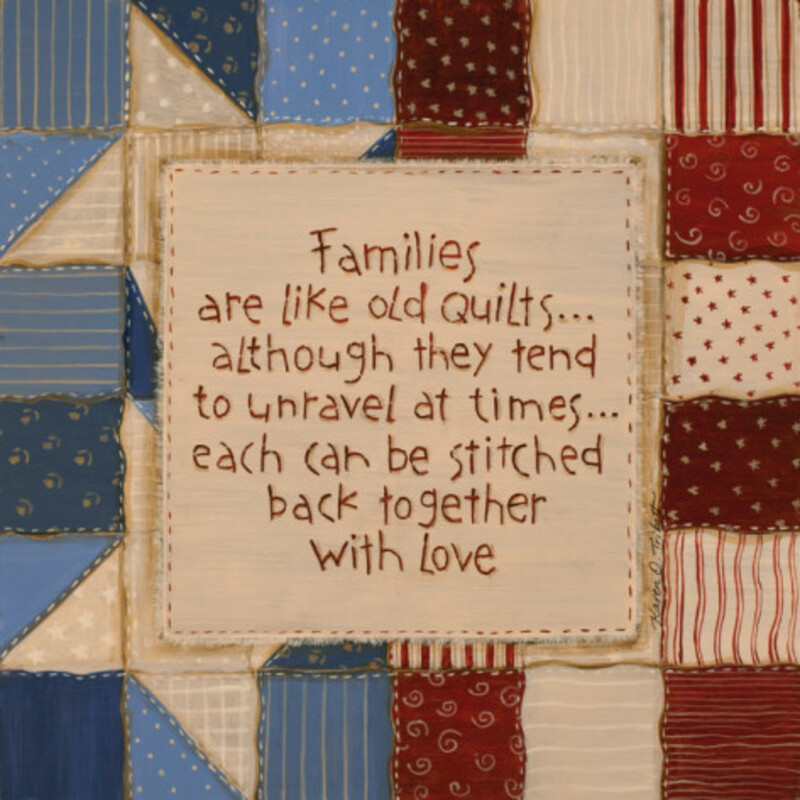 Passing this on to Bev, who swears that one day she will make a quilt. Excellent step-by-step instructions.